Groton, CT – In time for Labor Day, Chelsea Groton is pleased to announce a special 1% down payment home financing product, the Community Heroes Homeownership Program, for civic-minded men and women who serve our communities as full-time emergency medical technicians (EMTs), firefighters, paramedics, police officers and teachers (K-12). The Community Heroes Homeownership Program will allow individuals and families who have at least one loan applicant employed as a full-time EMT, firefighter, paramedic, police officer or teacher (K-12) to purchase a home with only a 1% down payment requirement, and up to $500 off closing costs. There is no requirement that the community heroes live in the same town where they work. In addition to the Community Heroes Homeownership Program developed in partnership with mortgage insurance partners, Chelsea Groton also offers affordable lending products through the Veterans Administration, CT Housing and Finance Authority (CHFA), Federal Housing Administration (FHA), US Department of Agriculture (USDA) and down payment assistance and grant programs, including FHLB Equity Builder, HDF SmartMove, and CHFA DAP. 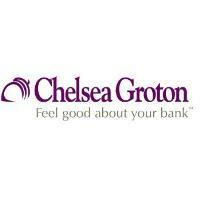 Please visit chelseagroton.com/hero or stop in to a branch for more information.